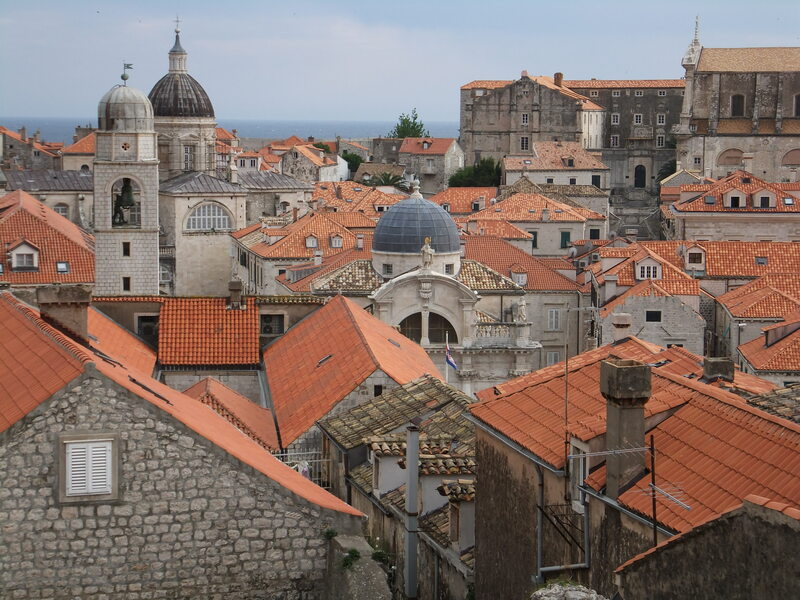 In 1929 George Bernard Shaw said “If you want to visit heaven on earth, come to Dubrovnik.” Hundreds of thousands of tourists take him up on it every year. We were there in May, before the summer hordes arrived, but it was still crowded during the morning hours when the big cruise ships were in port. Dubrovnik is very picturesque: you will be taking photographs around every corner. Dubrovnik boasts a magnificent wall completely surrounding the Old City, and for a modest charge you can walk the whole way around on top. I spent two hours making the circuit, wearing out my camera battery in the process. The walls have everything a castle-loving American could want: spectacular views, huge guard towers, 17th-century ruins, sheer cliffs above the crashing waves, and the chaotic geometry of hundreds of terracotta tile roofs. 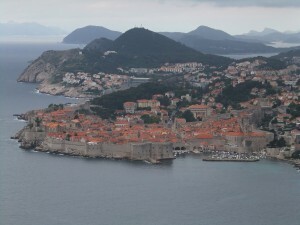 Most of Dubrovnik was destroyed in the earthquake of 1667. 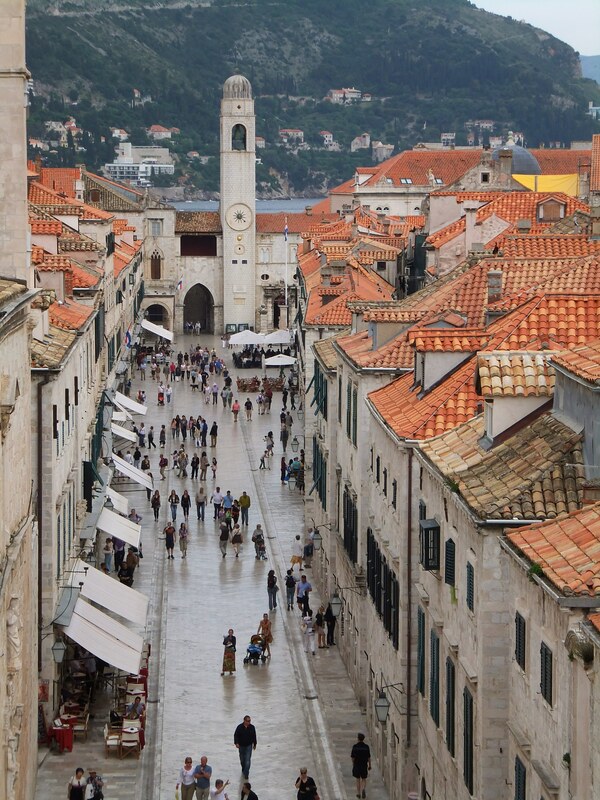 It was rebuilt quickly, and so many of the buildings share the same architectural style, most notably along the wide main street, called Stradun (“big street”). 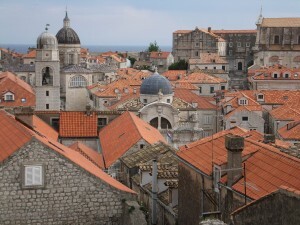 Dubrovnik was shelled in the 1991 war that followed the breakup of Yugoslavia, an act that prompted widespread outrage. Almost all of the 1991 damage has been repaired, but I kept forcing myself to remember that this was only twenty years ago: all the adults here lived through that. 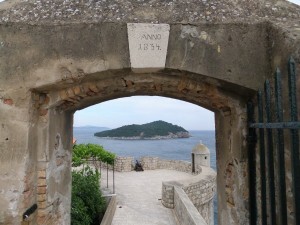 The island of Lokrum as seen from the city walls. According to legend, England's King Richard I was shipwrecked on Lokrum in 1192 on his way home from the Crusades. 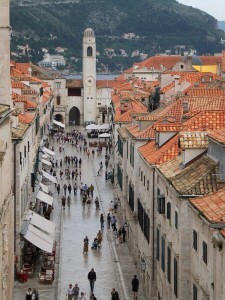 For all its apparent livlihood, the most recent census counted only 1000 Croatian residents inside the Old City. Many locals fear it will become a ghost town, catering only to tourists—a sentiment familiar to the residents of Venice, 300 miles up the Adriatic coast from here. 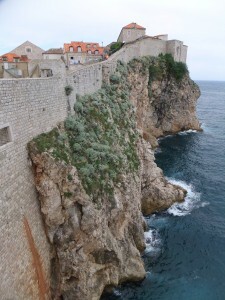 Read David’s other blog posts about the Croatia trip! Previous post: You’re welcome. No really, you’re welcome.